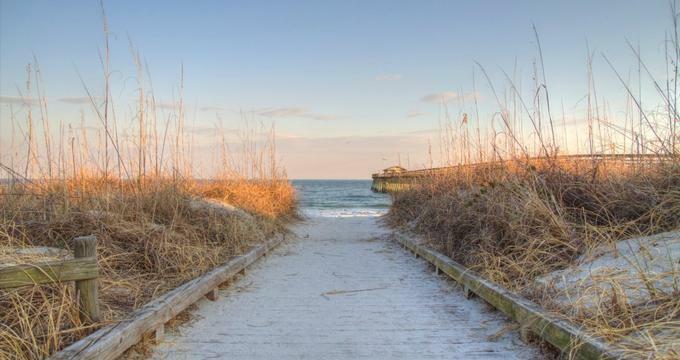 South Carolina, known for its beautiful beaches and friendly Southern hospitality, is home to historical monuments, world-class museums, and family-friendly zoos and gardens. The first thing to expect at Telluride Gay Ski Week is a warm welcome and a lot of friendly faces. 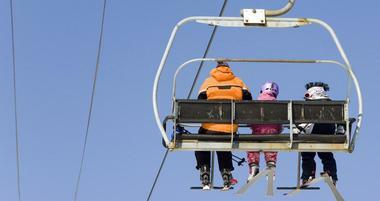 Here are some of the top ski resorts near NYC. There are several excellent resorts within a 100-mile radius of the city itself, and many more for those who are willing to drive a little further. 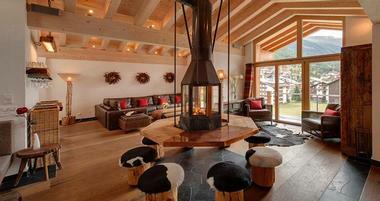 Diamond Peak is a place where you can experience the joy of a memorable ski trip amongst awe-inspiring surroundings. Visiting the Grand Targhee Ski Resort, located in and around the Grand Teton Mountains in beautiful scenic Alta, Wyoming, is good family fun no matter the ages. 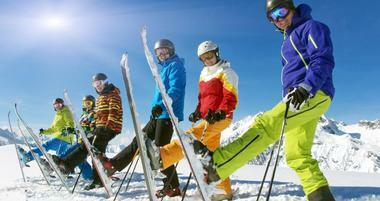 Located in the heart of the Rocky Mountains, Colorado is one of the top ski vacation destinations in the world. Mt. 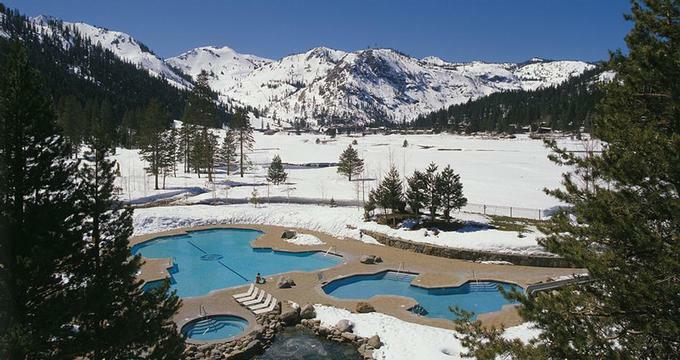 Rose is a ski resort in Tahoe which partially overlaps the Humboldt-Toiyabe National Forest. 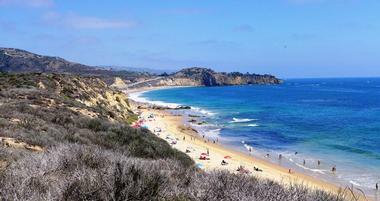 During the long cold months of winter, when cabin fever is running high, a vacation can be just what the doctor ordered. But instead of escaping to the heat of the tropics, these family friendly ski resorts might be just the thing to keep everyone entertained and having fun. 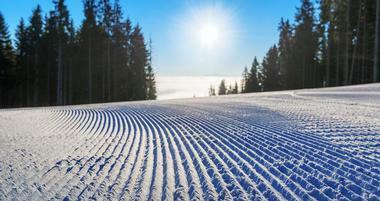 From lessons and group ski activities for kids, Nordic skiing and snowshoeing across some of the most beautiful mountains in the country, or riding a sled, tube, or an alpine coaster down some exhilarating slopes, these twenty five ski resorts offer plenty of options for a fun filled family vacation filled with skis, snow, and adventure. Aspen is one of the most famous ski resorts in the world, home of the Winter X Games, and destination of the stars. But it is also a fantastic place to bring the family for a winter vacation, with private lessons, beginner slopes, terrain parks, and a tubing hill that will leave the whole family screaming with laughter. 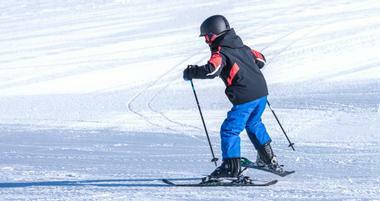 Kids under 6 can ski for free at Aspen, and discounts are offered for families, teens, and children, who will enjoy some of Aspen’s kid-friendly trails, group skiing activities, adventure trails, and special events that are offered throughout the season. After a long day on the slopes, the whole family will love the Elk Camp, where events, games, activities, and festivals are held for all ages. Arapahoe Basin, or A-Basin as it’s known by locals, is a legendary ski resort that has been thrilling guests for over seventy years. With over one hundred trails, a summit elevation of over thirteen thousand feet, and approximately 350 inches of snowfall per year, A-Basin is a veritable winter wonderland, where guests can ski, snowboard, snowshoe, and cross country ski to their hearts’ content. Families will love Arapahoe Basin because all season long, kids 6 to 12 years old can ski for two days, entirely free of charge. It’s a great way to introduce kids to the fun of winter sports, and gives parents who love skiing a great excuse to bring the whole family on a trip of a lifetime. Revelstoke Mountain Resort is home to the biggest vertical in North America, at over 5,600 feet, but it is also home to some great opportunities for families to have a wonderful winter vacation. With dedicated learning areas for beginners, comprehensive lessons from experienced instructors, and over 45% of its terrain rated for intermediate skiers, Revelstoke makes for a great spot for skiers and riders of any ability level. Off the slopes, guests can enjoy tubing and the bungee bounce at the Turtle Creek Fun Park, games and daycare at the Kids’ Centre, or even a fun-filled day of snowshoeing, paragliding, or dogsledding. 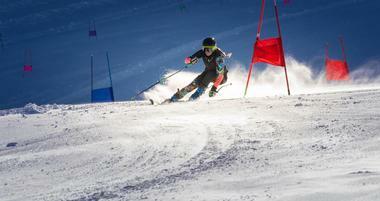 Telluride Ski Area in Colorado is an amazing, world class resort with plenty of options for everyone. Nearly 60% of the mountain’s trails are rated for beginner or intermediate guests, making it perfect for families, and more advanced skiers and riders will enjoy the challenge of Telluride’s advanced trails, including four hike-to terrain areas that provide an opportunity for some pretty extreme winter sports. With terrain parks, Nordic trails, snowmobiling, heli-skiing, and fat bike tours, Telluride offers no shortage of activities for guests, on and off the slopes. The Telluride Historical Museum and the Wagner Custom Ski Factory both offer tours, and the kids Eco Adventures Day Camp will make sure that the entire family is kept busy and entertained for the whole stay. 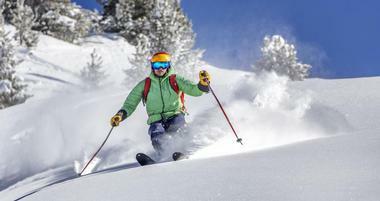 At Angel Fire Resort in New Mexico, guests will find over eighty skiing and snowboarding runs, as well as terrain parks, gladed trails, Nordic skiing trails, and much more. Families at Angel Fire will love the five lane tubing hill, and for younger kids under 12 years of age, Angel Fire’s sledding hill will provide everything needed for a great day in the snow. Young children three and under can spend their days at the Snow Bear Day Camp, where they will be entertained with games, crafts, and gentle snow play while parents and older kids are out enjoying the slopes. With a summit elevation of over 11,000 feet, and over one hundred and fifty trails to enjoy, Beaver Creek is a great destination for a family ski vacation that has trails and runs the entire family can enjoy, no matter the ability level. Beaver Creek even offers private family ski lessons, where the entire family can laugh and learn together as they practice the basics of navigating the mountain. The resort also offers options for Nordic skiing, snowshoeing, ice skating, and family programming offered every night during the week, and every day at three o’clock, Beaver Creek serves all its guests a heaping tray of fresh baked cookies. At Heavenly Mountain Resort in Lake Tahoe, visitors will find ninety seven trails that vary from gentle cruisers to steep chutes that plunge 1600 feet. With almost five thousand skiable acres of terrain, Heavenly is a huge resort with plenty to offer everyone, with a thrilling panoramic mountain coaster, a five hundred foot long snow tubing hill, and scenic gondola rides for both skiers and those who are just looking for some fantastic views. At the end of a long, fun day, guests at Heavenly Mountain Resort can unwind at the Tamarack Lodge, which is not only home to a bar and restaurant, but also hosts parties and events throughout the season. Towering above the village of Ludlow, Vermont is Okemo Mountain Resort, with five areas for skiing and riding that include 121 trails, eight terrain parks, and twenty lifts to keep guests moving up and down the slopes all day long. At Okemo, 32% of the trails are rated for novices, 36% as intermediate, and 31% as advanced trails, so visitors of all ability levels will find plenty to explore. Also at Okemo are 22 kilometers of Nordic skiing trails, 13 kilometers of trails for snowshoers, and the Timber Ripper Mountain Coaster, which will take riders on an exhilarating journey through scenic forests and snow covered hill. Families visiting Park City Resort in Utah will find no shortage of fun and activities to keep everyone entertained for their entire stay. Visitors can see some amazing views of the mountain and surrounding area while navigating the tracks of the alpine coaster, or while soaring above the treetops on the zip line. For those looking for less of an adrenaline rush, the nearby Heber Valley Railroad offers the same amazing views from the windows of a 100 year old train. Snow tubing, and of course, skiing and snowboarding are available for all ages and abilities at this resort, and regularly scheduled events will make this family vacation one to remember. At Snowshoe Mountain Resort in West Virginia, there are three skiing areas which each will appeal to different types of guests. 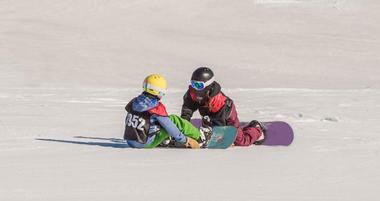 At Snowshoe Basin, guests of all ability levels, including kids and beginners, can find something to enjoy, and at Silver Creek, skiers and riders will find terrain parks and glades to test some of their more technical skills. Finally, in the Western Territory, visitors to Snowshoe Mountain Resort can ski some of the most challenging slopes in the area. With options for night skiing, and villages that are packed with shops, restaurants, and activities, Snowshoe Mountain offers everything that families need for a fun vacation in the mountains. Located in the beautiful Rocky Mountains of Colorado, right on the outskirts of the beautiful and amazing Rocky Mountain National Park, Granby Ranch has forty downhill runs, twelve Nordic trails, and six terrain parks for guests to enjoy. This family owned and operated resort is a favorite for locals because of its varied trails, and is a great place for kids to learn while parents can still have fun on the more advanced trails. Guests will also have opportunity to snowshoe, horseback ride, and night ski at Granby Ranch, and if they need a break from the slopes, there’s all the beauty of Colorado and Rocky Mountain National Park to enjoy as well. With 67 trails that are pretty evenly distributed in ability level, Discovery Ski Area in Montana is certainly a great place to discover the fun of winter sports. Discovery’s well groomed runs range from the easy beginner slopes to the thrilling mogul skiing on the backside of the mountain, and also include the solitary beauty and wildlife opportunities of the Nordic skiing trails, which offer some great views of the surrounding areas. And with restaurants, shops, the Discovery Day Lounge, and Kinderski for the youngest guests at the resort, Discovery has everything needed for a full winter sport experience. From December to April every year, Diamond Peak, located in Tahoe, Nevada, is a lovely destination for skiers and riders of all ages and abilities. With wide, gentle slopes for beginners, and challenging glades, bowls, and tree skiing for more advanced guests, Diamond Peak has something to offer everyone. Every run funnels down into the same area, so everyone in the family can take the trail that best suits their ability and then meet everyone else at the bottom. After skiing, visitors can hang out in Incline Village, where they will find a number of amenities including a movie theater, a bowling alley, shops, bars, and restaurants, as well as a swimming pool and sauna. At Snow King Resort, located in beautiful Jackson Hole, Wyoming, guests can ski and snowboard down the 32 named trails of the resort, but the fun only begins there. Snow King Mountain is home to the Cowboy Coaster, a mountain coaster that is sure to leave everyone with hearts pumping and smiles on their faces, and King Tubes, where guests can sail down the slopes in inflatable tubes, both during the day and at night. When guests need a break from the resort, Snow King is located at the doorsteps of both Yellowstone and Grand Tetons National Parks, which both offer some of the most beautiful sights in the country. Sugarbush Resort in Vermont is home to two mountains, 111 trails over almost five hundred acres of woods, slopes, and basins, and six peaks. Almost fifty percent of the resort’s runs are rated green or blue for beginner or intermediate skiers and riders, making it a great place for families to learn and play together on the slopes. Marked trails and guided tours are also in abundance for snowshoers, who can enjoy the serenity of winter nature on the mountain’s many trails. Away from the snow, kids can take a break in the Kids Adventure Zone, where they will find games like basketball, ping pong, and inflatable bounce houses to keep them occupied. At Bretton Woods Resort in new Hampshire, kids of all ages can learn the fun of skiing and playing in the snow. The Hobbits Ski and Snowboard School offers full and half day supervised programs where kids can learn all about the fun and safety of snowsports, and the Kids Snowmobile Park will teach them how to operate a snowmobile that is just their size, and set them loose on a fully supervised trail where they can try out the turns and get a feel for driving. In the Kinderwoods Playground, children can also enjoy a mini zip line, playgrounds, and a snow tubing carousel. Whether visiting for a day or a week, Solitude Mountain is a great destination for families looking for some winter fun. The resort has two base villages, which cater respectively to day visitors and lodging guests, and many runs and trails of varying difficulties for its guests to enjoy. Besides the opportunities for Alpine skiing and boarding, Solitude also is home to over twenty kilometers of trails for Nordic skiing, and another set of trails for snowshoeing. The resort also offers events like yoga, stargazing, and geology field trips, all of which are designed for the whole family and can be found on the website calendar. Breckinridge is a resort in Colorado that values family fun, and the activities offered at the resort simply speak for themselves. Guests can fly down the mountain sides on 2,500 feet of track on the Breck Gold Runner Coaster, an alpine coaster where riders control their own speed through twists, turns, and some stunning mountain scenery, or soar over fifty feet above the snow with the Breck Flyer Zipline. The weekly events at Breckenridge are designed for the whole family, too, with festivals and activities planned with kids in mind throughout the season. For a break from the mountain, there’s even the Mountain Top Children’s Museum in the town of Breckenridge, where younger kids can learn and play. Families visiting Keystone Resort in Colorado will find a place perfect for all ages, with activities to keep the whole family entertained for their entire stay. The runs at Keystone are impeccably groomed and many of them are long green and blue trails, great for beginning and intermediate skiers and riders. Keystone also offers daily activities for the whole family with their Kidtopia program, which organizes movies, ice cream socials, crafts, snowman building competitions, and other fun activities for kids, and is also home to an entertainment center with video games, foosball, coloring books, board games, and more. From sleigh rides to snowball fights in the giant snow fort, there’s plenty to do at Keystone. At Big Sky Resort in Montana, guests can ski or ride on four different mountains under the gorgeous blue skies that give this place -- and the state of Montana -- its name. With almost 2300 acres of slopes for beginner or intermediate guests, Big Sky is a great destination for families with kids who are just starting out, and with over three hundred named runs within the resort, there is certainly enough to keep everyone occupied. But if a break from skiing is ever needed, Big Sky also offers activities like zip lining, snow shoeing, dog sledding, and sleigh rides for the whole family to enjoy their days in this winter wonderland. Sun Valley was built by the Union Pacific Railroad in 1936, making it the oldest destination ski resort in America. Located in the Northern Rockies of Idaho, Sun Valley’s slopes are located on two mountains: Dollar Mountain and Bald Mountain. There, skiers and snowboarders will find 121 trails to keep them busy for days, terrain parks, half pipes, and rails, and lessons and clinics for both kids and adults at Sun Valley’s Snow Sports School. Visitors to the resort will also find trails and courses for cross country skiing, snow shoeing, and rinks for ice skating and ice hockey. At Crested Butte, families can not only participate in cross country or downhill skiing and snowboarding, but experience a wealth of other activities as well. Visitors to Crested Butte Mountain Resort can snow bike or fat bike along mountain trails, take a guided snowshoe tour of the area, or see the Rocky Mountains from the back of a horse on a winter trail ride. At the end of the day, parents can head out into town and leave the kids with the experienced staff members of the Kids Night Out program, or take the whole family on a magical sleigh ride that will lead them through snow covered hills to a warm and delicious dinner. Located in Bridgton, Maine, skiers and snowboarders at Shawnee Peak can sail down the slopes to see views of beautiful Moose Lake and the surrounding area. The slopes at Shawnee Peak have a vertical drop of approximately 1300 feet, and are covered with 40 trails for beginner, intermediate, and advanced guests, as well as several glades and terrain parks. Shawnee offers lessons, group clinics, and events for kids of all ages, and for babies and toddlers, the Peak-a-Boo Daycare Center will make sure they are well looked after while the rest of the family is out on the slopes. Camelback Mountain Ski Resort is one of the best in the region, with the biggest snow tubing park in the country, and a huge variety of trails and terrain for skiing and snowboarding. Camelback is home to a terrain park, where skiers and riders can practice and challenge themselves on a variety of different trails, as well as the Appalachian Express Mountain Coaster, and a dual zipline that stretches over one thousand feet. For an all inclusive experience, guests can also stay at Camelback’s Aquatopia Indoor Waterpark, so they can enjoy all the benefits of a summer vacation during the cold winter months. Gore Mountain Ski Resort is located in North Creek, New York, and is part of the Adirondack Mountains. The resort comprises four gorgeous peaks that are filled with slopes and trails for skiers and snowboarders, and snow machines that make sure the annual ski season is always long and full of fresh powder. Gore Mountain is a beautiful resort that hosts many events and affordable opportunities throughout the year. The resort keeps its emphasis on family fun, and even offers free skiing and riding to kids who are six years old and younger.